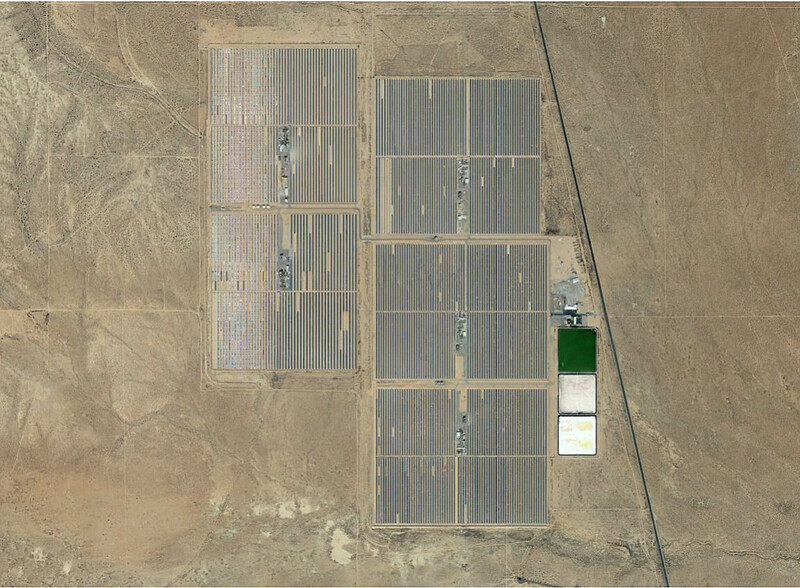 SEGS 3-7 (Kramer Junction) is a 150-megawatt solar power plant. It is one of three separate sites within 40 miles of one another (SEGS 1 and 2 at Daggett, and SEGS 8 and 9 at Harper Lake), which make up the original Solar Electric Generating System (SEGS). Together these three sites can generate about 354 megawatts at peak output. 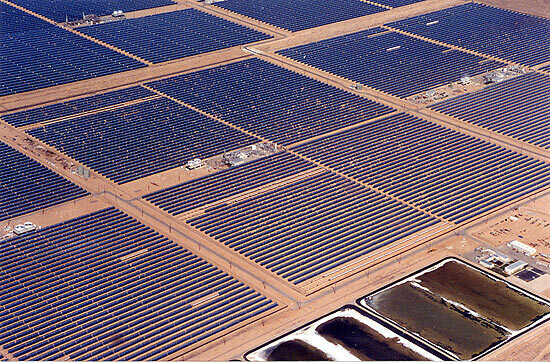 Built in response to the energy crisis of the late 1970s, and finally going online in the 1980s, SEGS comprised all of the industrial-scale solar power produced in the USA for nearly 20 years. Starting around 2010, more large-scale solar power generating stations have been built, and there are now dozens in the southwestern USA producing more than 100 megawatts each. 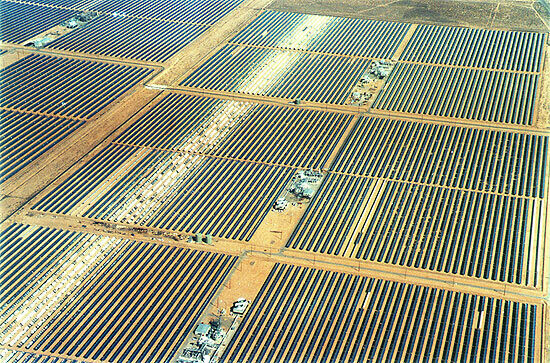 SEGS are solar thermal plants, using reflective parabolic troughs to generate heat, then steam, then power. It is supplemented with natural gas.